Find the Best Mailchimp Marketing Courses in 2019. 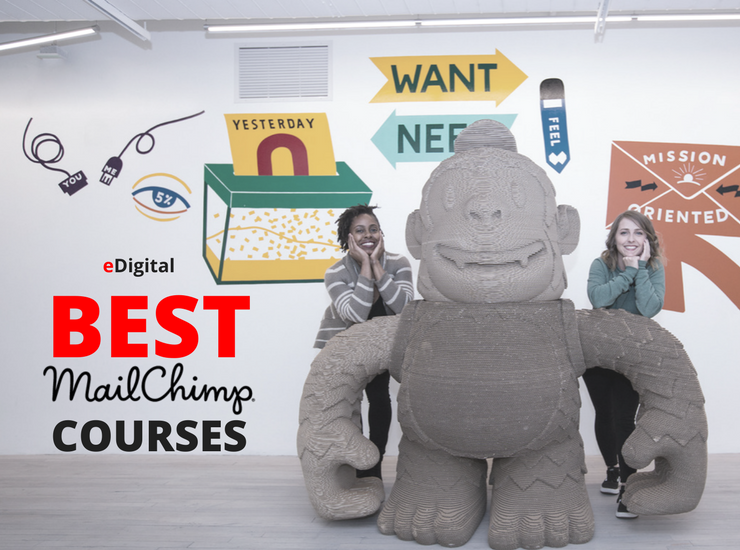 This 2019 list of Top Best Mailchimp Marketing Courses has been curated by eDigital and sourced from the world’s top best academies, universities, colleges and schools. Make the popular MailChimp email-marketing platform to work for you. In this course, re-recorded from the ground up for 2018, MailChimp expert Virginia O’Connor helps you set up a free account and start building campaigns. Because signing up subscribers is such a big part of your newsletter’s success, you will also learn how to tailor sign up forms for your web. You will learn best practices and practical tips on how grow your list and get subscribers engaged by surveys, video, and animation. Plus find out how to use one of MailChimp’s most useful features —the autoresponder—which was just introduced to the free version of Mailchimp app, and get even more reach social media advertising. Contact us today for Social Media training or social media Strategy workshops. We offer sessions in any main city in Australia inc: Sydney, Melbourne, Brisbane, Adelaide, Perth, Gold Coast, Byron Bay, Hobart, Cairns, NewCastle, Wollongong and others. Check out our top social media tools list. Find out about our next social media classes.